10:00 a.m. - 4:00 p.m.
We pride ourselves on our very competitive buying rates for gold silver and platinum which has made our name a by-word in the business of cash for gold in Los Angeles. Top dollar offered for your Gold Jewelry, Silver Jewelry, Platinum Jewelry, Diamond Jewelry, Gold Engagement or Wedding Bands, Gold Class Rings, Gold Cluster Rings, Gold Cocktail Rings, Gold Silver Platinum Coins, Gold Bullions, Gold Medals, Gold and Platinum Brooches and Pins, Scrap Dental Gold, Other Scrap Gold, Gold and Platinum Lockets and Charms, Matched or Mismatched Gold Earrings, Unwanted Jewelry, Damaged Jewelry such as Kinked Gold Chains or Gold Pieces with Stones Missing, Diamonds of any size. If you are looking for gold buyers in Los Angeles or gold buyers in San Fernando Valley areas, you are in the right place with BST Gold & Silver cash for gold in Los Angeles. We also buy-sell-trade gold, silver and platinum coins in Los Angeles paying top cash for US Gold Buffalo (1 oz. ), US Gold Bullion Eagle (1/2 oz. ), US Gold Bullion Eagle (1/4 oz. ), US Gold Bullion Eagle (1/10 oz. ), US Buffalo Proof 1 oz. Gold-Box & Certificate, US Eagle Proof 1 oz. Gold-Box & Certificate, Austrian Vienna Philharmonic 20 oz. Gold Bullion Coin, Austrian Vienna Philharmonic Gold Bullion (1 oz. ), Australian Kangaroo Gold Bullion (1 oz. ), South African Gold Bullion Krugerrand (1 oz. ), 1 oz. Gold Bullion Bar - PAMP Suisse with Certificate, 100 Gram Gold Bar - PAMP Suisse with Certificate (3.21 oz. ), 10 oz. Gold Bar - PAMP Suisse with Certificate, Kilogram Gold Bar - PAMP Suisse with Certificate (32.15 oz. ), Austrian/Hungarian 100 Corona (0.98 oz. ), Chinese Panda (1 Gold oz. ), 1 oz. Perth Kangaroo Bar, 10 oz. Perth Kangaroo Bar, Australian Lunar Mouse (Rat) Series 2 (2008), Australian Lunar Ox Series 2 (2009), Australian Lunar Tiger Series 2 (2010), Mexican Gold 50 Peso (1.2 oz. ), US $20 Liberty Gold - XF to AU, US $20 Saint-Gaudens Gold - XF to AU, US $20 Liberty, $20 Saint-Gaudens Gold, British Gold Sovereign Circulated Pre-1933 (0.235 oz. ), Swiss 20 Franc Choice Brilliant Uncirculated Pre-1933, 0.186 oz., Hand Selected, French 20 Franc Choice Brilliant Uncirculated Pre-1933, 0.186 oz., Hand Selected, US Platinum Eagle (1 oz., 0.9995 Fine), US Platinum Eagle (1/2 oz., 0.9995 Fine), US Platinum Eagle (1/4 oz., 0.9995 Fine), US Platinum Eagle (1/10 oz., 0.9995 Fine), PAMP Suisse Platinum Bar (1 oz., 0.9995 Fine), Canadian Palladium Maple Leaf (1 oz. 0.999 Fine), PAMP Suisse Palladium 1 oz. Bar. Come to us if you are looking for the best price paying gold coin buyers in Los Angeles. If you are not sure what kind of metals you have, bring it with you and we can appraise it for free. And we will ensure that you get the highest possible value. We are also Rolex buyers in Los Angeles, and other name brand watches such as Audemars Pigeut, A.Lange & Sohne, Alain Silberstein, Breitling, Breguet, Bvlgari, Bell&Ross, Burberry, B.R.M, Baume Mercier, Cartier, Chanel, Chopard, Concord, Corum, D&G, Dior, Dewitt, Ebel, Emporio Armani, Franck Muller, Ferrari, Gucci, Graham, Hublot, Iwc, Jaeger-LeCoutre, Jacob & Co, Louis vuitton, Longines, Movado, Montblanc, Omega, Oris, Patek Philippe, Panerai, Piaget, Porsche Design, Rado, Richard Mille, Romain Jerome, Roger Dubuis, Tag Heuer, Tudor, Tissot, U-Boat, Ulysse Nardin, Versace, Vacheron Constantin, Zenith and Chronoswiss. 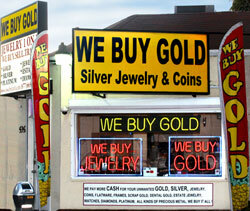 We pay more CASH for your unwanted Gold and Silver!